Blom had both practical and symbolic intentions with his design. Most of the living space of these cube houses is above ground, which makes the layout attractive for a populated urban area. 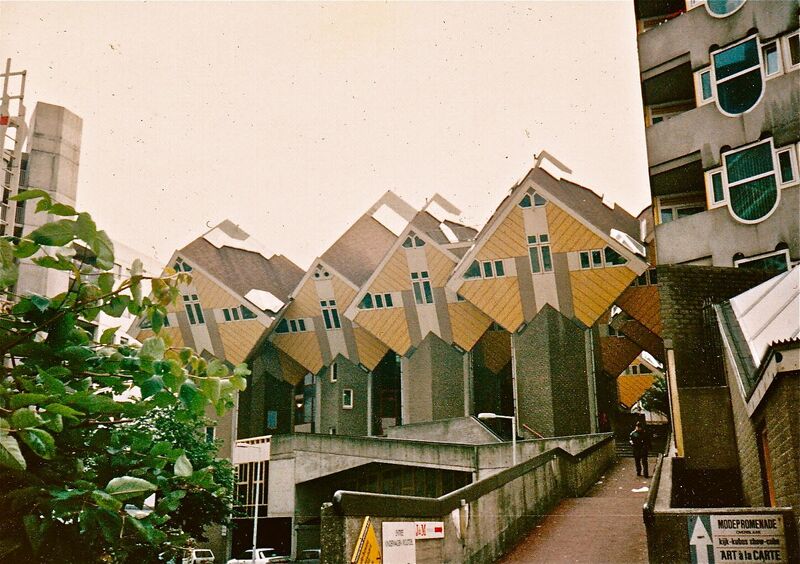 Also, Blom creatively envisioned the complex as a forest with each house as symbolizing a tree. Whatever the intent, the houses or Kubuswoningen grab your attention and make you think. 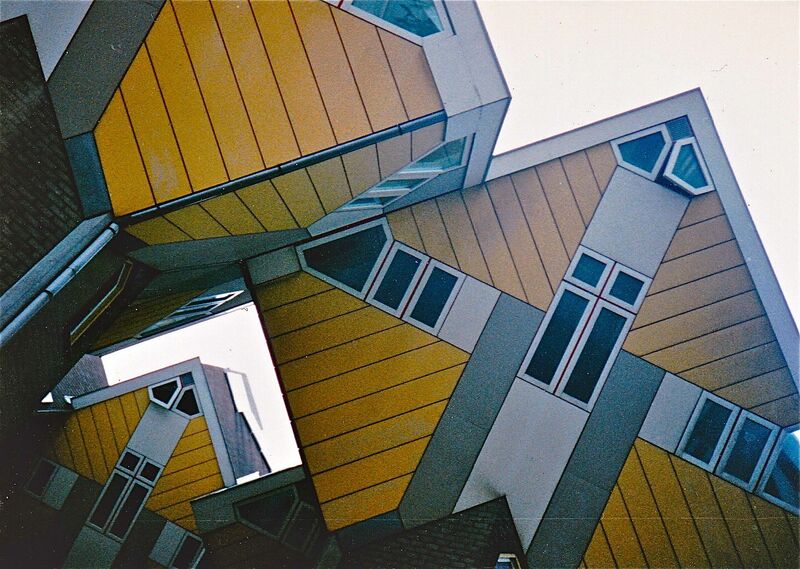 This entry was posted in Architecture, Cool Buildings, Europe, Photography, The Netherlands, Travel and tagged cube houses, Gimme Shelter, Piet Blom, Rotterdam, Rubik's cube by stephglaser. Bookmark the permalink.